As with any boat, the naming is very special. 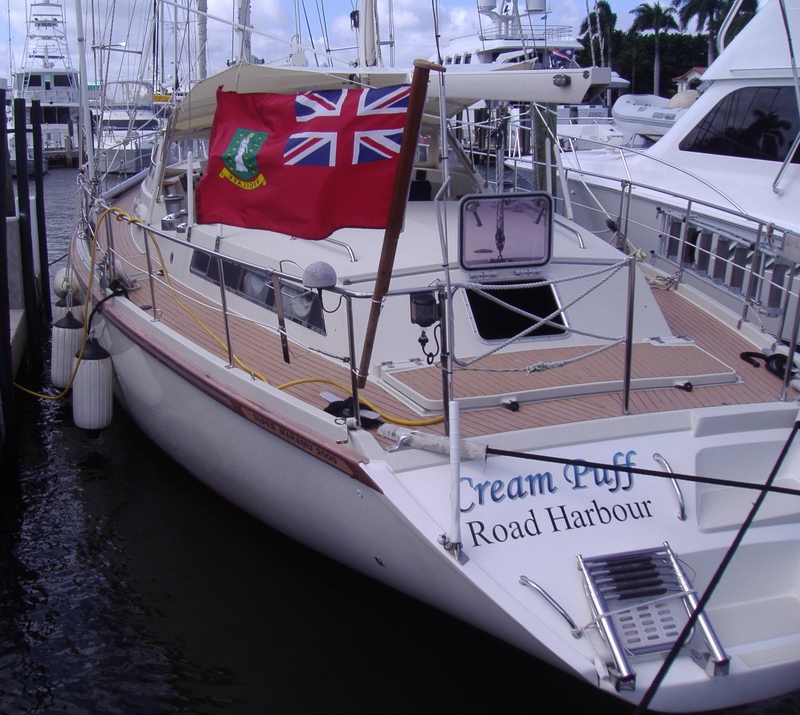 An owner’s personality is apparent by the name of their vessel. We are no different. 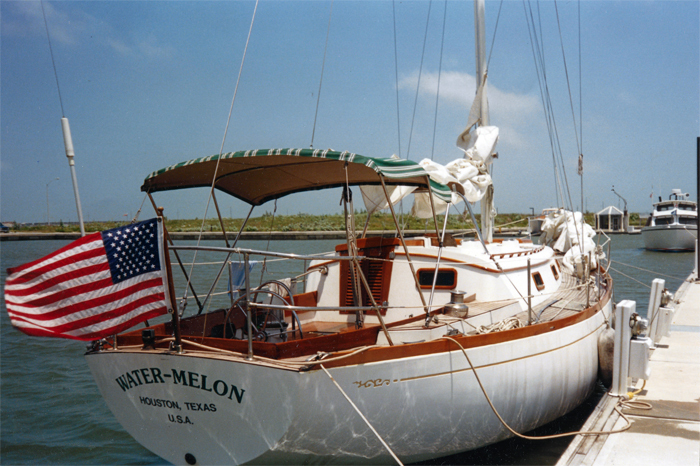 We struggled with a list of names and started to write them down as early as 2 years before we bought the boat. Our short list included Passing Wind. We thought we could name the dinghy Little Fart. Another name, Mugaboo, which is a combination of all but one of the dogs in our lives. We eventually settled on Cream Puff and here is why. 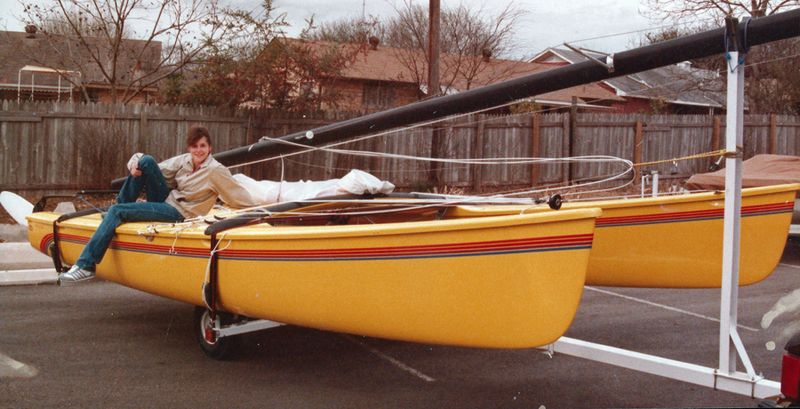 Our first boat together was an 18’ Hobie Cat. She was a bright yellow catamaran and aptly named Banana Split. Our next boat was a 38’ Cheoy Lee. When we first saw this boat, it was across the marina and we had a view of the back. One of us, I don’t remember who, said it looks like a big melon. Cheoy Lee’s are very heavy, slow, round and beamy. The name Water-Melon was born. So, at this point we had a food theme going, this is actually quite fitting for us as we both love to cook and entertain. We felt the need to stay with the food. I think we tossed around Cream Horn for a while but wanted to add something nautical, just because. Amels are cream in color, not the usual bright white of most production boats. Puff was the best nautical wind synonym. The name Cream Puff was at the top of the list, if we were to purchase an Amel. However, the deal was sealed when a boat broker called us and said, “You need to come and see this boat. She’s a real cream puff”. That weekend we flew to Ft. Lauderdale to take a look. We made an offer on the spot. The name Cream Puff was sealed. Oh, and by the way, our dinghy is The Puffster.